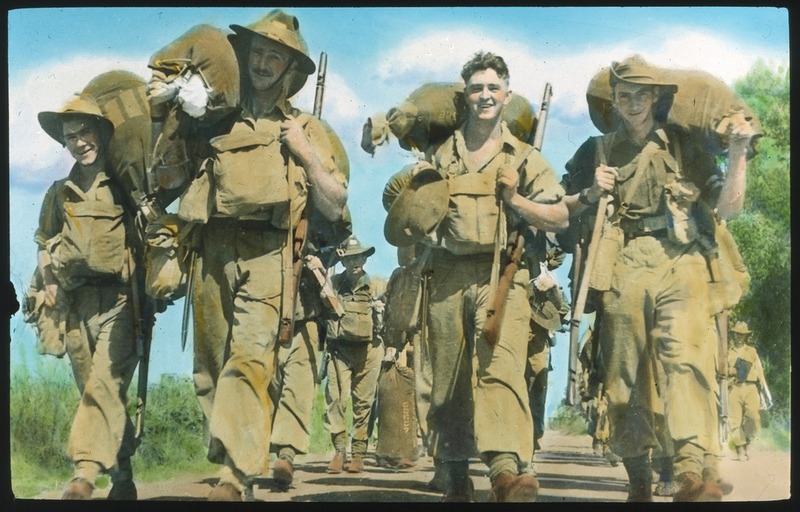 In 1939 Oswald (Ossie to his mates), aged 16 and too young to officially enlist in the armed forces, joined the militia and headed to Papua New Guinea. As a Sapper, Ossie dug trenches, laid tarmac down for roads and helped clear undergrowth for the advancing Australian Army – but when the Japanese made their major offensive for Port Morseby in September of 1942, with the loss of many allied soliders lives, Ossie was enlisted in the field to take up arms to defend his country. To repel the Japanese advancement was imperitive, should they take Port Morseby in Papua New Guinea this would then become the base for their major offensive, and ultimate goal – north Queensland, Australia. For three major waves in September, October and November of 1942 Ossie and the allied forces repelled the Japanese advancement, ultimately deafeating the opposing army. Ossie came home to Inverell after the war and, although I can’t know for sure, the remaining years of his life would indicate his experiences in PNG changed his life, and affected him deeply. Ossie was better known to me as Da, my Grand-dad. A patient, quiet, generous and loving man – a solid and reliable rock for his family and someone we dearly miss. Da didn’t like talking about the war, he kept his medals and papers in a draw and, on ANZAC day, he chose to sit quietly by himself on his back deck. He didn’t like the parade, he didn’t want to march – remembering the horror was something he did everyday, he said, and recalling those who were lost and dear to him was something he chose to do in a different, more personal way. When I joined the army my Da hugged me, told me he loved me, and said he prayed I never had to use anything I learnt or was trained for. I know he was proud, but I could see tears in his eyes – the necessisty of having an army was something he wished we didn’t need. 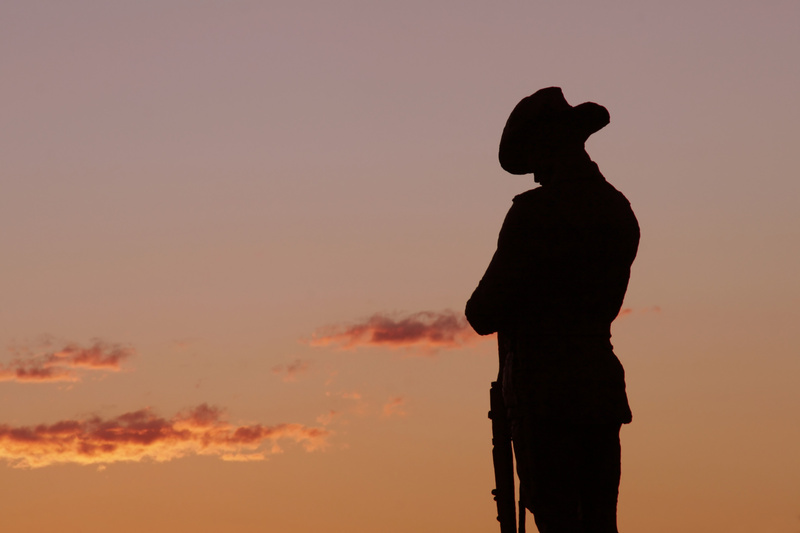 On this day, ANZAC day, I salute and pay my respects to all those who served in the past my Great Grand-dad, Russell (“Mate”) who served 1914-1920, my Great Uncle Joe who served 1939-1948, and my Da (“Ossie”) who served 1939-1948. I salute and want to honour all those who continue to give, and give up, their lives in more recent conflicts – who have placed value on, not just the lives of their countrymen, but on all humanity – in conflicts across the globe. I pause and especially remember Michael Fussell “Fuss” and Bryce Duffy, who along with 16 other Australian Soliders, lost their lives in Afghanistan. I know many people have memories and personal stories such as mine, that’s why we will never forget.